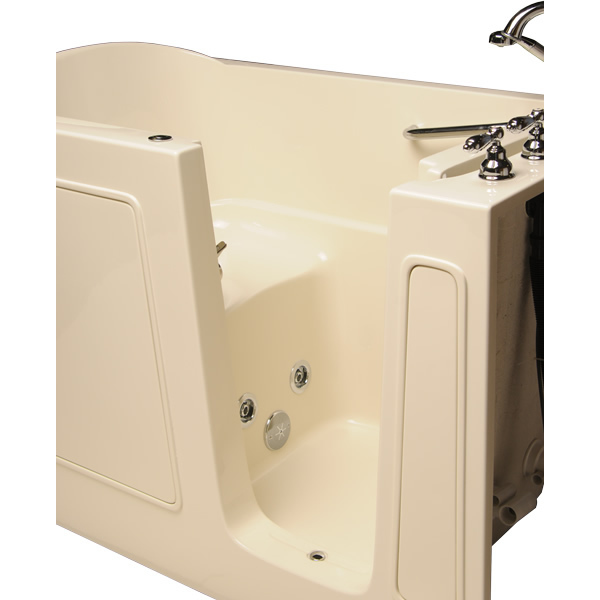 Treat your fatigued muscles and your tired mind with a Sanctuary Hydrotherapy Plus walk-in bathtub. How? The Hydrotherapy Plus uses 6 adjustable water jets and 15 air jets to soothe muscles while the Aromatherapy System releases aromatic oils to revitalize your mind. 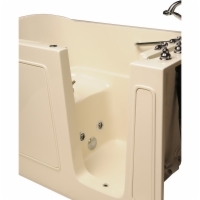 This 30" W x 53" L walk-in bathtub has all the safety features you expect, too, with its 17-inch high ADA-compliant seat, a low step-in height of 6", and an inward swinging door to conserve space in tight bathrooms. 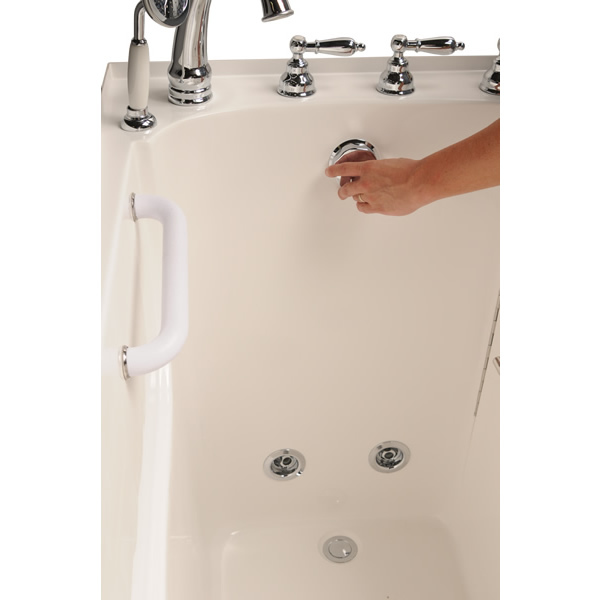 A stainless steel frame and reinforced fiberglass shell with a triple-gel coating make this bath tub sturdy and give it an elegant look that's sure to complement your existing decor. 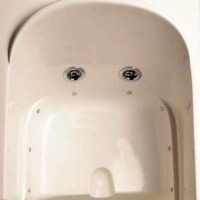 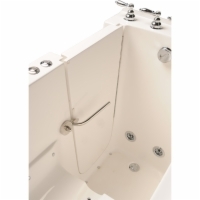 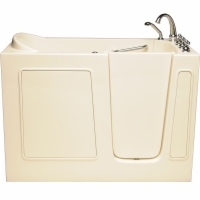 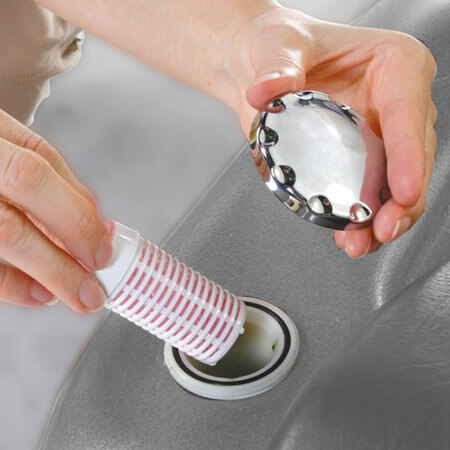 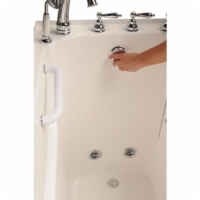 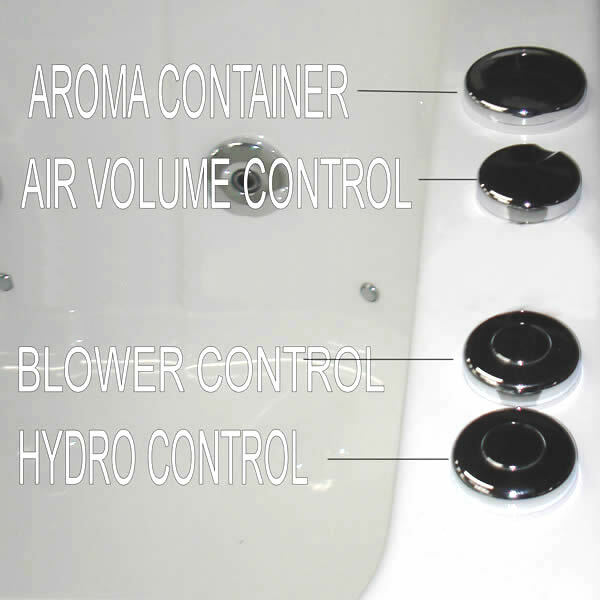 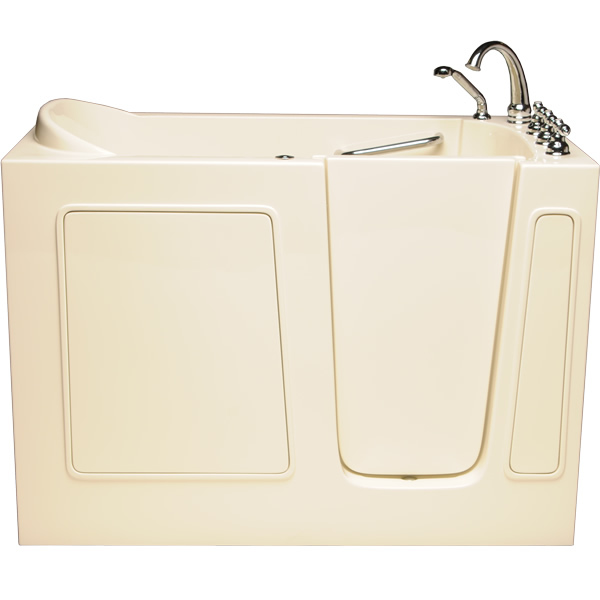 Contact an AmeriGlide bath safety expert today to order your Sanctuary Hydrotherapy Plus and experience the ultimate in bathing comfort, luxury, and safety!